Check out the interest rate arbitration infographic and understand how it works. 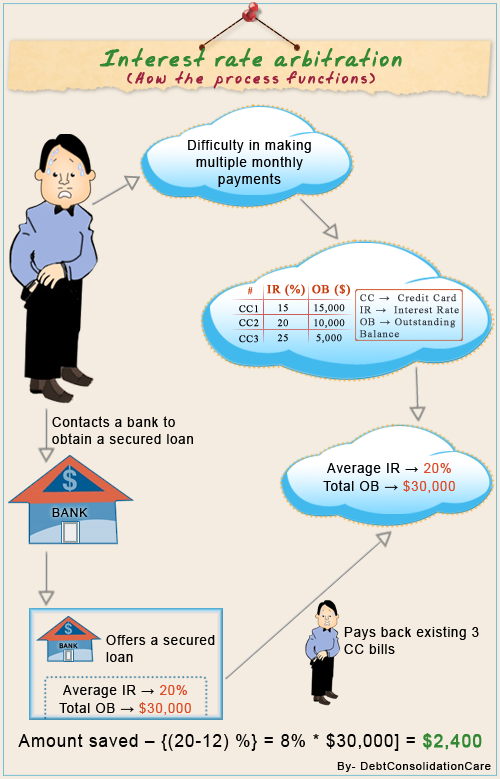 The infographic gives you a graphical analysis of the interest rate arbitration process in a step-by-step manner. It makes you understand how this process helps you eliminate debt. Copy and paste the code below on your website or blog.